From the sound of it, you should be able to buy a compatible tablet, like the new Nexus 7 for example, take it to T-Mobile, and leave with a SIM and free 200MB monthly data plan. No fees, no charges, no questions asked. This actually sounds too good to be true, so we've reached out to T-Mo for clarification and will update with a response as soon as we hear something back. Update: It may sound too good to be true, but apparently it's not. We received word back from T-Mobile, and the above situation is indeed how it works – free data for all! Of course, those who need more than 200MB of data can opt for a higher plan, though charges will apply (naturally). 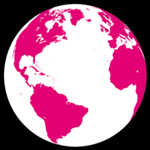 Current T-Mo customers can grab 500MB of data for $10 a month, and it jumps in 2GB increments for $10 each there. There are also daily and weekly passes, for those times when you just need a bump for a short period of time. Customers who elect to go with a Simple Choice tablet plan will also get unlimited data in the 100+ countries at no additional cost. Beginning on November 1st, those who wish to ditch their Wi-Fi-only tablet and hop on the LTE train can do so at T-Mobile stores with the new trade-in program; just give up your old tablet, and get a discount on a new T-Mo compatible device. At the current time, T-Mobile is offering the new Nexus 7 and Galaxy Tab 2 10.1 in its tablet portfolio, though the recently-announced iPad Air and [new] Mini will be available in the future. You know, if that's your thing. Good job, T-Mo. Keep shaking things up. Just two weeks after upending the wireless industry with its Un-carrier 3.0 moves, T-Mobile US, Inc. (NYSE: TMUS), America's new No. 1 choice in wireless[ii], is at it again. In its latest Un-carrier move, T-Mobile today announcedTablets Un-leashed, a revolutionary approach to make tablets just as mobile and connected as smartphones.